Why is the virgin birth of Jesus important? This is controversial but important teaching of scripture. In our upcoming series, we dive into Isaiah’s prophecy that “The virgin will conceive and give birth to a son, and[c] will call him Immanuel. [d] ” and the gospel of Matthew’s declaration that this was fulfilled in Jesus, but some people do not agree. Biblical history records some amazing and spectacular births. The birth of Isaac to a previously barren woman nearly one hundred years old, who was laughing at the thought of having a child, was a miraculous event. The womb of Manoah’s barren wife was opened and she gave birth to Samson, who was to turn a lion inside out, kill a thousand men, and pull down a pagan temple. The birth of Samuel, the prophet and anointer of kings, to the barren Hannah, whose womb the Lord had shut, revealed divine providential power. Elizabeth was barren, but through the power of God she gave birth to John the Baptist, of whom Jesus said there had yet been no one greater “among those born of women” (Matt. 11:11). But the virgin birth of the Lord Jesus surpasses all of those. Fantasy and mythology have counterfeited the virgin birth of Jesus Christ with a proliferation of false accounts intended to minimize His utterly unique birth. For example, the Romans believed that Zeus impregnated Semele without contact and that she conceived Dionysus, lord of the earth. The Babylonians believed that Tammuz was conceived in the priestess Semiramis by a sunbeam. In an ancient Sumerian/Accadian story inscribed on a wall, Tukulti II (890-884 b.c.) told how the gods created him in the womb of his mother. It was even claimed that the goddess of procreation superintended the conception of King Sennacherib (705-681 b.c.). At the conception of Buddha, his mother supposedly saw a great white elephant enter her belly. Hinduism has claimed that the divine Vishnu, after reincarnations as a fish, tortoise, boar, and lion, descended into the womb of Devaki and was born as her son Krishna. There is even a legend that Alexander the Great was virgin born by the power of Zeus through a snake that impregnated his mother, Olympias. Satan has set up many more such myths to counterfeit the birth of Christ in order to make it seem either common or legendary. Modern science even speaks of parthenogenesis, which comes from a Greek term meaning “virgin born” In the world of honey bees, unfertilized eggs develop into drones, or males. Artificial parthenogenesis has been successful with unfertilized eggs of silkworms. The eggs of sea urchins and marine worms have begun to develop when placed in various salt solutions. Nothing like that has ever come close to accounting for human beings; all such parthenogenesis is impossible within the human race. Science, like mythology, has no explanation for the virgin birth of Christ. He was neither merely the son of a previously barren woman nor a freak of nature. By the clear testimony of Scripture, He was conceived by God and born of a virgin. Nevertheless, religious polls taken over the past several generations reveal the impact of liberal theology in a marked and continuing decline in the percentage of professed Christians who believe in the virgin birth, and therefore in the deity, of Jesus Christ. One wonders why they want to be identified with a person who, if their judgment of Him were correct, had to have been either deceived or deceptive—since all four gospels explicitly teach that Jesus considered Himself to be more than a man. It is clear from the rest of the New Testament as well as from historical records that Jesus, His disciples, and all of the early church held Him to be none other than the divine Son of God. A popular religious personality said in an interview a few years ago that he could not in print or in public deny the virgin birth of Christ, but that neither could he preach it or teach it. “When I have something I can’t comprehend,” he explained, “I just don’t deal with it.” But to ignore the virgin birth is to ignore Christ’s deity. And to ignore His deity is tantamount to denying it. Real incarnation demands a real virgin birth. Matthew’s purpose in writing his gospel account was partly apologetic—not in the sense of making an apology for the gospel but in the more traditional sense of explaining and defending it against its many attacks and misrepresentations. Jesus’ humanity was often maligned and His deity often denied. Possibly during His earthly ministry, and certainly after His death and resurrection, it is likely Jesus was slandered by the accusation that He was the illegitimate son of Mary by some unknown man, perhaps a Roman soldier garrisoned in Galilee. It was Jesus’ claim of deity; however, that most incensed the Jewish leaders and brought them to demand His death. “For this cause therefore the Jews were seeking all the more to kill Him, because He not only was breaking the Sabbath, but also was calling God His own Father, making Himself equal with God” (John 5:18). It is surely no accident, therefore, that the beginning of Matthew’s gospel, at the outset of the New Testament, is devoted to establishing both the regal humanity and the deity of Jesus Christ. Apart from Jesus’ being both human and divine, there is no gospel. The incarnation of Jesus Christ is the central fact of Christianity. The whole superstructure of Christian theology is built on it. The essence and the power of the gospel is that God became man and that, by being both wholly God and wholly man, He was able to reconcile men to God. Jesus’ virgin birth, His substitutionary atoning death, resurrection, ascension, and return are all integral aspects of His deity. They stand or fall together. If any of those teachings—all clearly taught in the New Testament—is rejected, the entire gospel is rejected. None makes sense, or could have any significance or power, apart from the others. If those things were not true, even Jesus’ moral teachings would be suspect, because if He misrepresented who He was by preposterously claiming equality with God, how could anything else He said be trusted? Or if the gospel writers misrepresented who He was, why should we trust their word about anything else He said or did? Jesus once asked the Pharisees a question about Himself that men have been asking in every generation since then: “What do you think about the Christ, whose son is He?” (Matt. 22:42). That is the question Matthew answers in the first chapter of this gospel. Jesus is the human Son of man and the divine Son of God. Many people still today are willing to recognize Him as a great teacher, a model of high moral character, and even a prophet from God. Were He no more than those things, however, He could not have conquered sin or death or Satan. In short, He could not have saved the world. He would also have been guilty of grossly misrepresenting Himself. It is interesting that certain condescending interpreters of the New Testament acknowledge that Matthew and other writers sincerely believed and taught that Jesus was conceived by the Holy Spirit, that He had no human father. But, they claim, those men were uneducated and captive to the usual superstitions and myths of their times. They simply picked up on the many virgin birth legends that were common in the ancient world and adapted them to the gospel story. Matthew’s account of Jesus’ divine conception is straightforward and simple. It is given as history, but as history that could only be known by God’s revelation and accomplished by divine miracle. It is essential to the incarnation. Why is the virgin birth important to our Christian faith? Jesus Christ, God’s Son, had to be free from the sinful nature passed on to all other human beings by Adam. Because Jesus was born of a woman, he was a human being; but as the Son of God, Jesus was born without any trace of human sin. Jesus is both fully human and fully divine. The infinite, unlimited God took on the limitations of humanity so he could live and die for the salvation of all who believe in him. I hope to see you Sunday as we learn more! MacArthur New Testament Commentary, The – MacArthur New Testament Commentary – Matthew 1-7. Life Application Bible Commentary, New Testament. 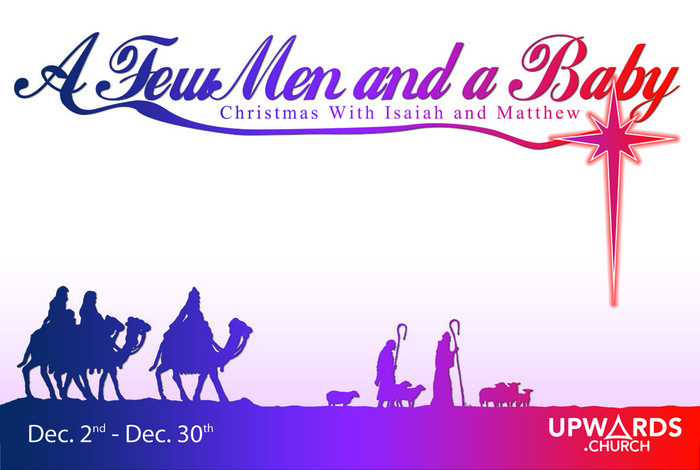 This entry was posted in A Few Men & a Baby (Isaiah & Matthew) and tagged Isaiah 7, Jesus, Matthew 1, Virgin Birth. Bookmark the permalink. 1 Response to Why is the Virgin Birth Important? Darryl, this is Gladys from next door. My new number is 512-993-8991. Can you retract me Caleb’s address. I gave him my updated number thinking he would let you and Nicki know! Thanks.